Armenia’s national air carrier Armavia has resumed the Yerevan-Aleppo-Yerevan flight, which was suspended in late March over escalating violence in Syria. The direct Armenia-Syria flight has great importance for Christian Armenians caught amid the internal strife in Syria. Armavia airline press secretary Nana Avetisova told ArmeniaNow that now the company will have only one flight per week; and if the demand grows the number of flights will grow, respectively. Late in March the national air carrier suspended the Yerevan-Aleppo-Yerevan flight explaining its step by the danger connected with the civil war in Syria. But because Syrian-Armenians keep coming to Armenia and taking refuge here (their number has reached about 3,000), and Syrian Airlines carrying out the Yerevan-Aleppo-Yerevan flight has sold out all tickets up until September, His Holiness Karekin II, the Supreme Patriarch and Catholicos of All Armenians, turned to Armavia, asking the company to resume the flights to and from Aleppo. Meghri Hayitian, 21, moved to Armenia together with her family about four months ago. She told ArmeniaNow that she had been informed about more Syrian-Armenians’ arrival. “On July 11, some of my relatives will arrive in Armenia by plane, too,” Hayitian said. However, as Syrian-Armenian journalist Harout Ekmanian told ArmeniaNow, most Syrian-Armenians still prefer going to neighboring Lebanon and European countries and not Armenia. (According to the data of Armenia’s Diaspora Ministry, more than 50,000 ethnic Armenians reside in Syria). Ekmanian says that throughout this year the Aleppo-Yerevan flight has always been overloaded, and it is wrong to suppose that now more Syrian-Armenians have started coming to Armenia. “Those who used to come for a visit are the ones now coming to Armenia,” Ekmanian concludes. 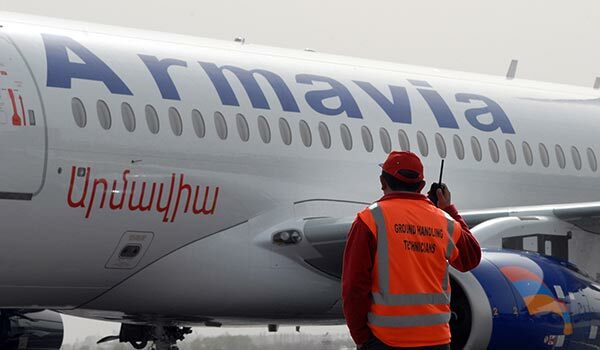 Information has recently been circulated in the press that Armavia has hiked the ticket price for the Yerevan-Aleppo flight up to 237,000 drams (about $568) against the previous 119,000 drams (about $285). Avetisova reported that the ticket prices had become 128,000 drams (about $306), and the price increase is connected with safety issues and Syria’s refusal to provide insurance. Nevertheless, it is impossible to find a ticket at $306 in travel agencies in Yerevan. For example, Geographic Travel representatives told ArmeniaNow that all the economy class tickets are sold out until August, and the tickets of higher class cost 250,000 drams (about $600).